Fife Councillor for Lochgelly and Cardenden, Ian Chisholm, had been attending First Minister’s Question Time along with Tam Livingstone, a well known local activist and community campaigner. 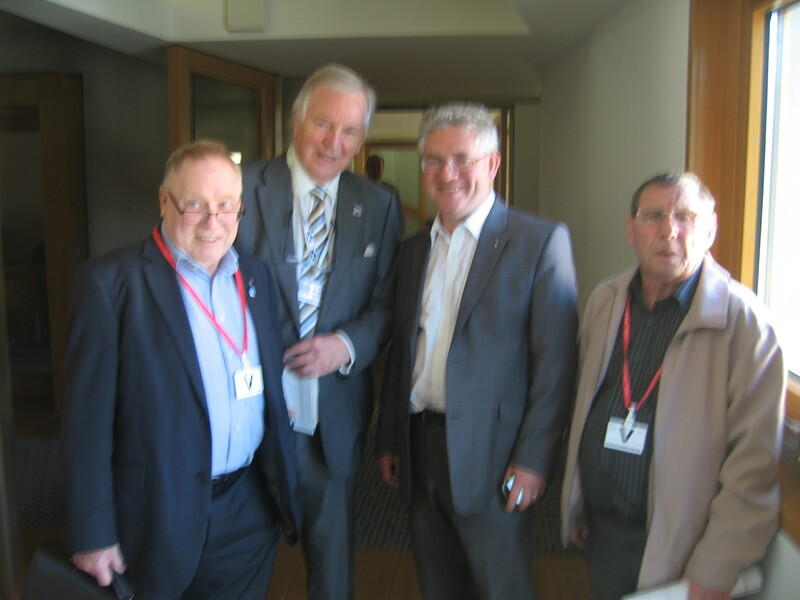 Afterwards, the pair met fellow Fifer, Dunfermline MSP Bill Walker, who treated them to lunch. Luckily for Ian and Tam, there were a couple of far more interesting encounters to come. The first photograph shows the three Fifers standing behind Parliament’s most famous assistant, Mr Q, posing modestly for the camera. Standing to the left of Mr Q is his alleged master, Dennis Robertson MSP. Next to Mr Q is fellow MSP Clare Adamson, who could not resist making a fuss of Dennis’ trusty companion. Mr Q kept his cool throughout – he is used to having all the attention! The second photograph is only slightly more serious: the three Fifers caught Kenneth Gibson MSP, Convener for the Scottish Parliament Finance Committee, at a casual moment in the MSP block while he was enjoying a rather leisurely afternoon. 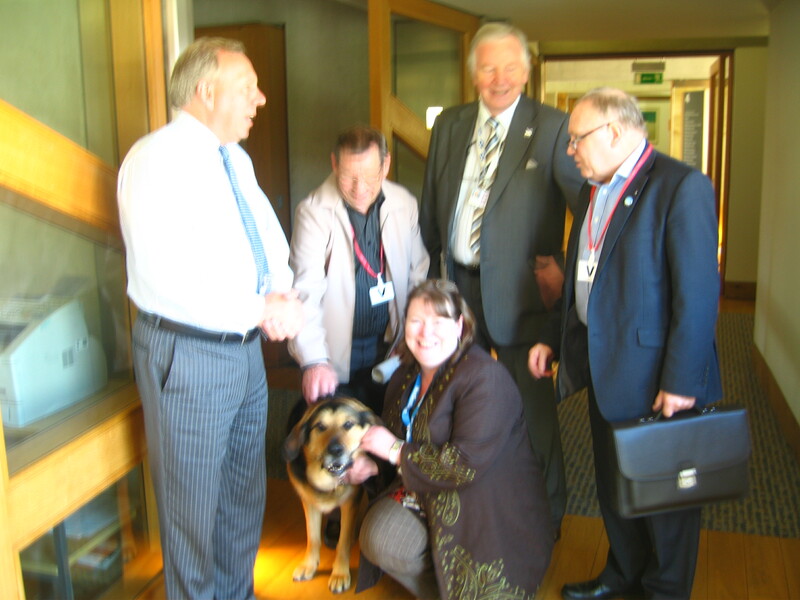 With Mr Q from left to right: Dennis Robertson, Tam Livingstone, Clare Adamson MSP, Bill Walker MSP, Councillor Ian Chisholm.